Yay, my first full post of 2008! So, during 2008, I hope to work steadily and finish FOUR of the above!!! Ok, pick yourself up from the floor and I will explain my reasoning. Last year, I finished a total of 3 kits. 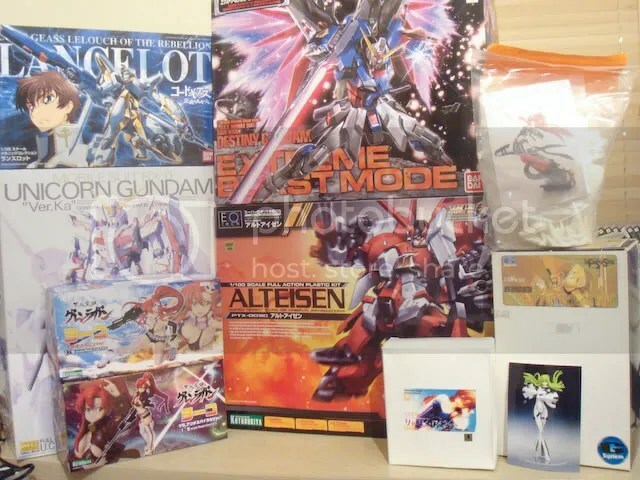 Bunny Haruhi, Getsumento Heiki Mina, and Strike Freedom. Admittedly, bunny Haruhi did take much longer than any previous kit and i did take an extended break after completing her but the grand total is still only 3. I’m not sure how regularly I will be able to work on my figures this year so I’m simply hedging my bets. I could realistically say i could finish 5 or 6 kits but you never know what may happen so I’m playing it safe. That way, if I do manage more than what I set out to do, I can feel pleased with myself!! 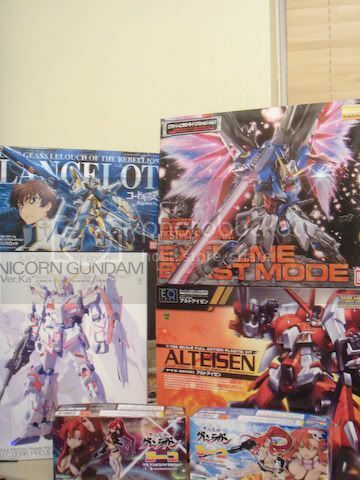 I should really buy fewer kits before my build list gets out of hand, but with winter wonderfestival next month and 2 more figures awaiting shipping, I think it’s a bit late for that. I recently purchased a rozen maiden set from e2046 during their sale, mainly as a way to test the quality of their recasts. I’m also interested in their “gathering” series as everyone raves about them, I’m interested to see how one of my works stacks up to theirs in my critical eye. In any case, lets start the way we mean to carry on. At the time of writing, C.C is cleaned, sanded and undergoing priming so look forward to progress reports soon!